The mechanics behind a CNC router, a laser cutter, and a 3D Printer are mostly the same, so why not make a machine that can do all three with interchangeable heads.? That is the idea behind the CNC Piranha Fx, a new project that is seeking funding on Kickstarter from the makers of the CNC Shark. Normally when I hear that a project on Kickstarter is promising so much, I get a little skeptical. However, this particular project is brought to us by the makers of the CNC Shark, which is sold in Rockler stores. I really doubt they would put something like this on Kickstarter unless they could bring it to fruition. 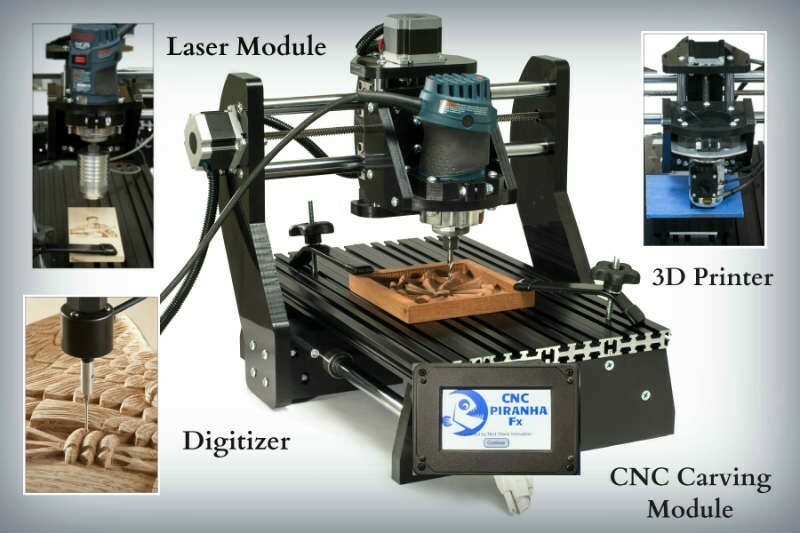 Not only will the CNC Piranha Fx be able to carve, laser engrave & cut, and 3D print, there is also an optional accessory that can digitize(copy) existing carvings or 3D models. 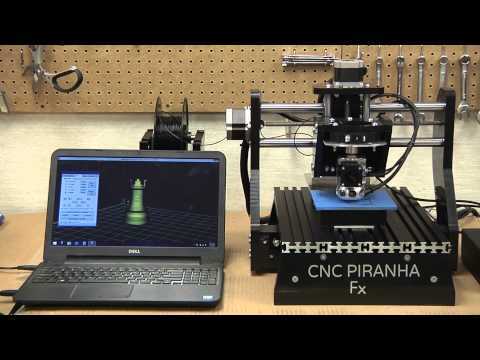 The CNC Piranha sounds like it would be a great solution for small business that don’t necessarily have the money or the room for separate machines. The starting price for the CNC Piranha Fx Carving/Laser package is $1,999. The package including all 3 heads will cost $2,699, and the package including all the heads, plus the digitizer will cost $2,899. The Piranha Fx will be made in the USA and is expected to ship in June 2015.